AISI 420 Mod is considered as general purpose martensitic 13 Cr modified stainless steel grade with enhanced strength and hardness corresponded to standard 13Cr versions. Stainless Steel 420 achieves its best corrosion resistance when the alloy is hardened and polished or surface ground. It is used in the quenched and tempered condition and formulated for primary forming into wrought products. AISI 420 Stainless Steel is corresponding to standards like EN 1.4021 and UNS S42000. 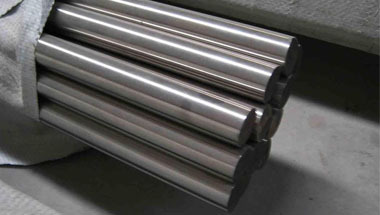 UNS S42000 is commonly known as Stainless Steel 420 is the high carbon content version. AISI 420 Mod is a widely used in the manufacture of oil industry completion equipment such as packers, valves and pressure-containing parts. They are made available in AISI 420 Mod Bars, UNS S42000 Round Rods, and EN 1.4021 Hollow bar. It can have a moderately low ductility and has a moderately high electrical conductivity among wrought martensitic stainless steels. Kindly contact us today or email us with your AISI 420 MOD / UNS S42000 Stainless Steel material requirement. We will assure that our every customer will get the highest quality products and excellent services at best suitable price range. UAE, Angola, Indonesia, Morocco, Ethiopa, Ghana, Dubai, Sudan, South Africa, Cameroon, Jordan, Brazil, New Zealand, Peru, Saudi Arabia, Chine, Malaysia, Vietnam, Russia, Azerbaijan, Nigeria, Turkey, Thailand (Bangkok), Tunisia, Sri Lanka, Kazakhstan, Uganda, Houston, Kuwait, Bahrain, London, Africa, Mozambique, Israel, Germany, Trinidad and Tobago, Colombia, Italy, United States, Canada, UK, Iraq, Venezuela, Egypt, Iran, Mexico, Argentina, Australia, Algeria, Democratic Republic of the Congo. Douala, Dakar, Aqaba, Khartoum, Abidjan, Hong Kong, Tel Aviv, Istanbul, Rabat, Subra al-Haymah, Beirut, Soweto, Mogadishu, Durban, Dammam, Manama, Casablanca, Maputo, Mecca, Port Elizabeth, Lusaka, Conakry, Data from the UN, Brazzaville, Giza, Fez, Freetown, Dar es Salaam, Antananarivo, Bethlehem, Kolwezi, Jerusalem, Ibadan, Kaduna, Cape Town, Accra, Harare, Maiduguri, Riyadh, Muscat, Zaria, Yaoundé, Ouagadougou, Tehran, Lubumbashi, Omdurman, Cairo, Singapore, Colombo, Port Harcourt, Amman, Kano, Lagos, Tripoli, Byblos, Dubai, Benin, Bamako, Mbuji-Mayi, Johannesburg, Addis Ababa, Jeddah, Kinshasa, Kampala, Luanda, Nairobi, Alexandria, Pretoria, Bulawayo, Abu Dhabi, Doha, Algiers, Cairo, New York, Sharm el-Sheikh.